Several notable photos from View 366: A Visual Story of the St. Joseph Lighthouses will be part of the upcoming photography exhibition, Focus on the St. Joseph Lighthouse, this summer at The Inn at Harbor Shores. Twenty-three photos by Laura Kraklau, author and photographer of the book, will be on display in the second floor gallery along with the works of four other area photographers. An opening reception is being held Friday, June 5, 2015 from 5:30 to 7:30 p.m. at The Inn. That evening, View 366 will be available for purchase. Laura will be there to sign copies and answer questions about the book and the year-long journey of capturing the photos. The photo exhibition will be on display through Labor Day. ST JOSEPH, MI – The St. Joseph lighthouses soon will make an appearance in Staten Island, New York. 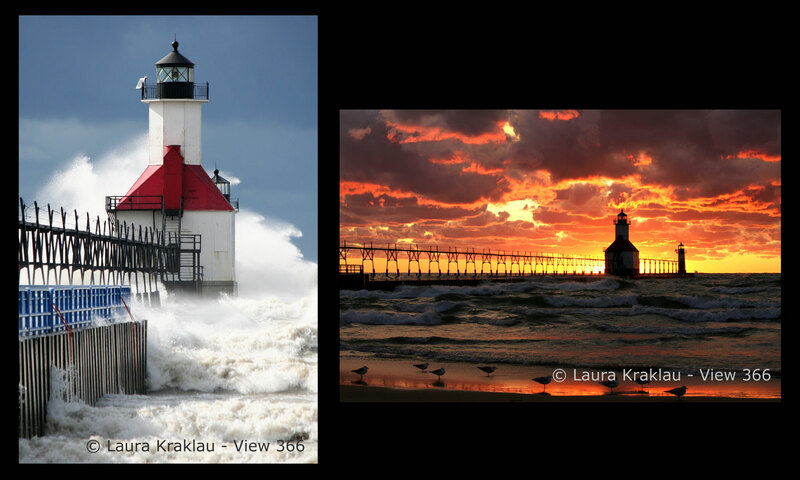 Two photos of the iconic structures taken by Laura Kraklau of St. Joseph will be included in the “Lighthouse Stories and Tales of the Sea” National Lighthouse Museum and Creative Photographers Guild First National Juried Photography Show. The exhibition runs March 7 – 29, 2015, at the National Lighthouse Museum in Staten Island. The “Lighthouse Stories and Tales of the Sea” exhibit pays homage, through photography, to the visual stories, tales, and history of the great lighthouses, bays, waterways, and seas throughout the world. Of the 550 pieces submitted for consideration, just 70 were accepted into the show. In November, Kraklau released a coffee table book of photography about the pair of lighthouses. View 366: A Visual Story of the St. Joseph Lighthouses chronicles Kraklau’s journey of photographing the structures every day for an entire year. The 229-page book features a photo for each day of the project that spanned from August 2011 to August 2012. Kraklau’s photography has also been featured in the Cook Nuclear Plant 2014 and 2015 calendars, at the West Michigan Area Show hosted by the Kalamazoo Institute of Art, and at the Michiana Annual Art Competition hosted by the Box Factory for the Arts. She is a member of the Berrien Artist Guild and has a studio at the Box Factory. In addition to her work in photography, Kraklau is a marketing professional who provides writing, marketing, and public relations services through her company, View 366 LLC. 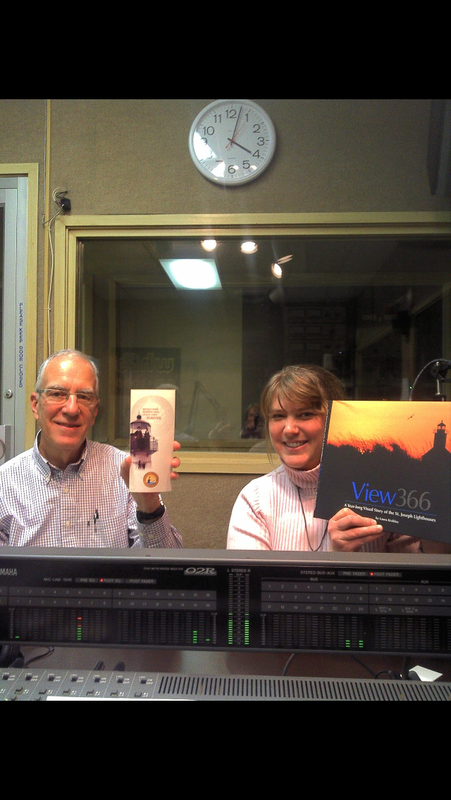 I was interviewed today on WHFB-AM about View 366. Bob Judd from the Lighthouse Forever Fund was also part of the interview as he talked about fundraising effort to restore the iconic structures. Anyone who has lived in St. Joseph/Benton Harbor for a number of years will remember WHFB. The station has come under new ownership and is experiencing a grassroots revival as it focuses on community topics. Thank you Cat for inviting me to be on the show today to talk about my book about the St. Joseph lighthouses! We hope to see everyone today at one of the Meet the Author events!